Emirates NBD sees corporate governance as critical to its goal of creating long-term value for all stakeholders. Governance frameworks enable the Group to reduce risk and manage change in-line with achieving its strategic objectives. Transparency and accountability are central to Emirates NBD's business, ensuring that the controls necessary for effective risk management, regulatory compliance, and accurate disclosure of information to the market are in place. Emirates NBD is committed to operating according to international best practice. Emirates NBD fosters excellent professional relationships both internally - between the bank's Board, its Committees and its Executive Management team and externally, with shareholders, the Central bank, and other regulatory bodies, and the business communities the Group operates in. Emirates NBD abides by all international banking regulations, UAE central bank rules and DIFX stipulations. 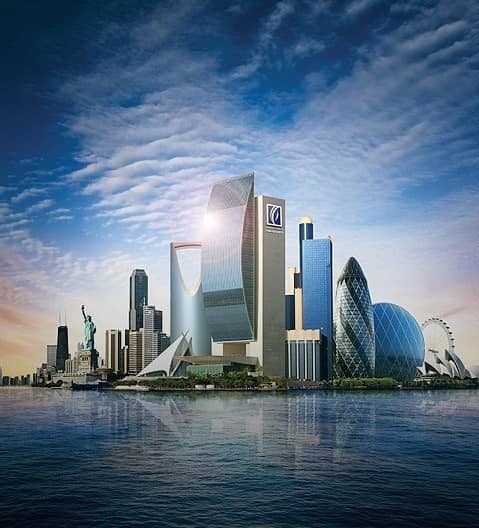 Emirates NBD's rigorous risk and capital management fully complies with Basel II requirements. All of the bank's operations comply with international Anti Money Laundering laws. Emirates NBD's Board of Directors meets on a monthly basis and is comprised of 9 prominent members of the local business community, all leaders in their industries. Mr Saeed Yousef is the Company Secretary for the Board and its Committees. The Board's mandate covers a formal agenda of overall strategy and management, corporate structure, financial reporting and controls, internal controls, approval of the Annual Report, approval of dividends and group risk management. There are independent non-executive directors on the Emirates NBD Board. The Group defines 'independent' as having no perceived or real conflicts of interest with any shareholder group or business partner. This Committee meets quarterly, or more frequently when required, ahead of general Board meetings. The Committee is responsible for ensuring quality control in the Group's financial reporting and compliance process. The Audit Committee manages internal financial reporting control systems and the associated auditing process. It is also the Group's committee for monitoring legal and regulatory compliance as well as the internal codes of conduct. Please click here to view the Internal Audit Charter. The overall corporate governance framework of the Emirates NBD Group is directed by this committee. The Committee also has responsibility for all risk management procedures. The Committee, which meets at least quarterly, oversees Basel II related activities and provides guidelines for capital management and allocation. This committee meets on a quarterly basis to conduct a review of strategic Human Resources decisions made by the Group, including remuneration issues.